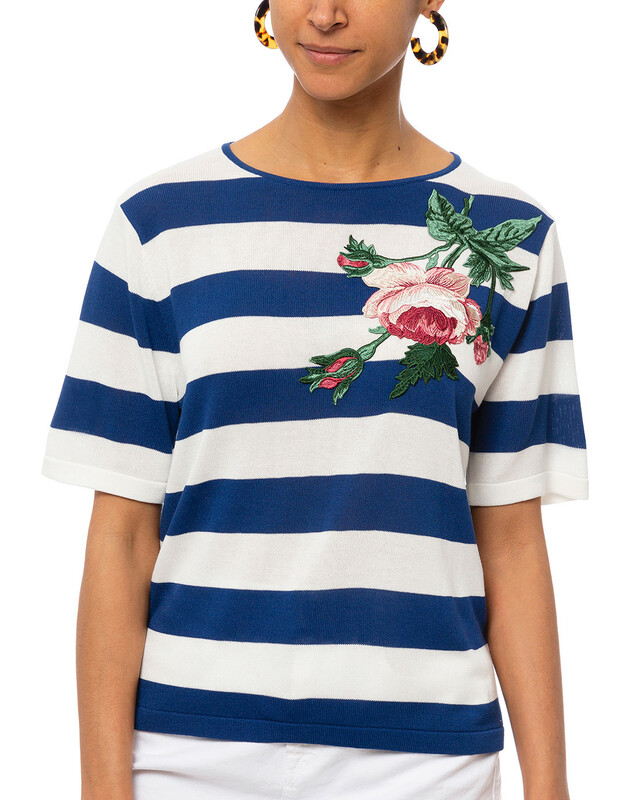 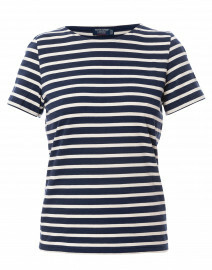 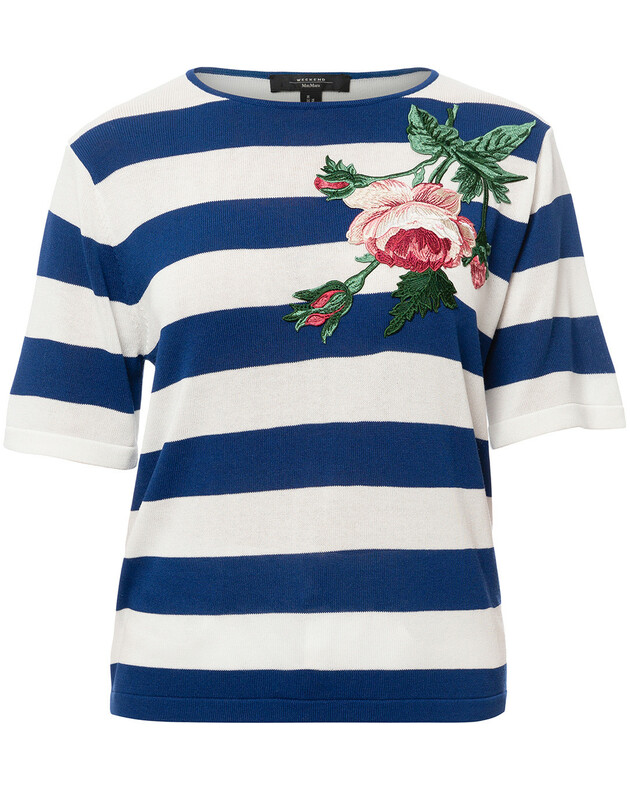 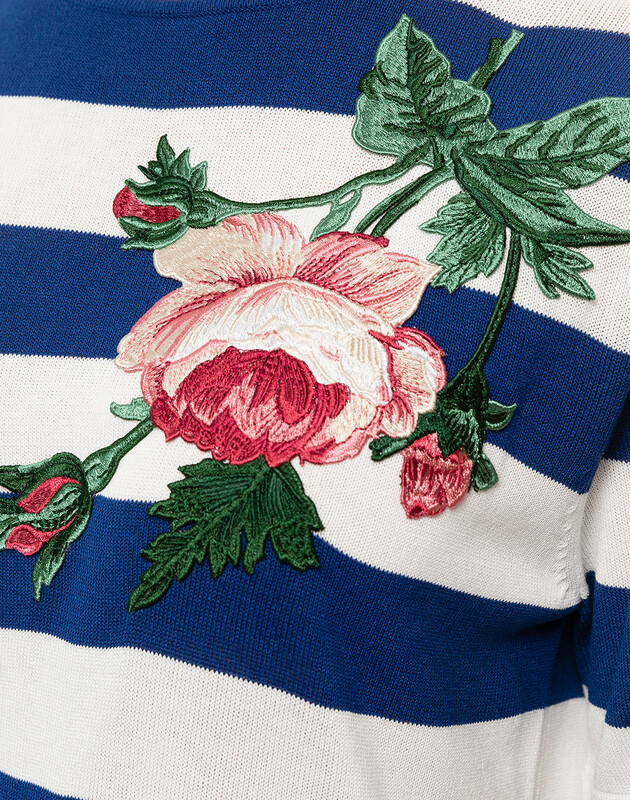 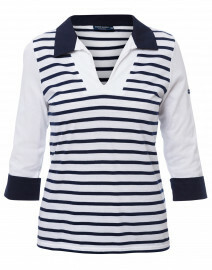 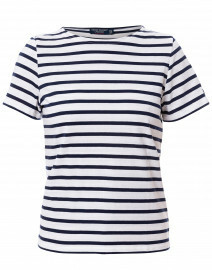 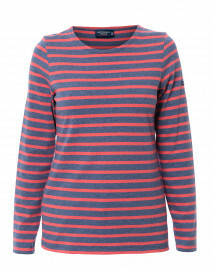 Weekend Max Mara's blue and white striped Leo tee will slot seamlessly into your casual-wear wardrobe. 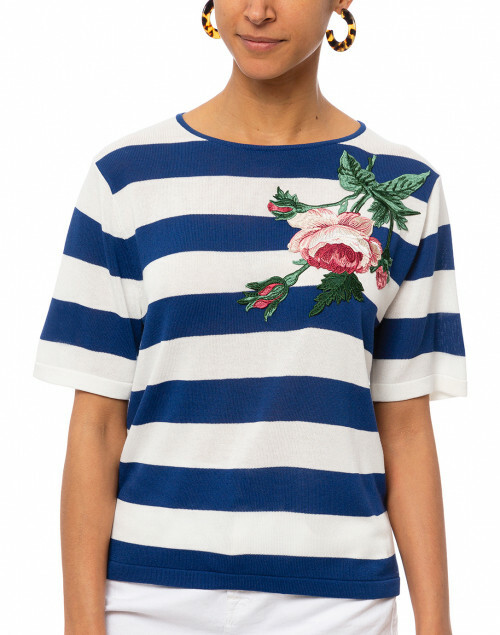 It's kint from lightweight viscose for a relaxed shape with a crew neckline and short sleeves, and finished with an embroidered rose detail. 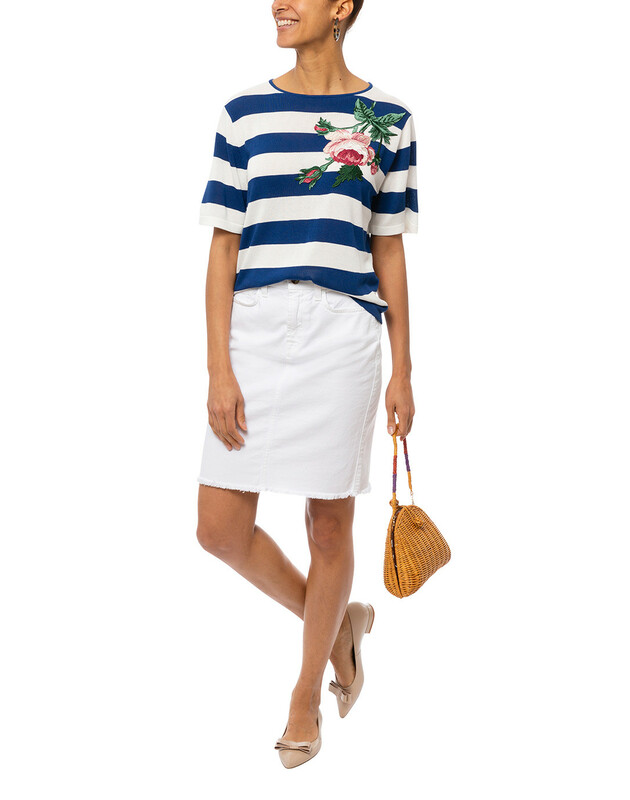 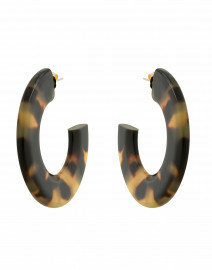 Wear it with a white denim skirt and a woven tote for a chic weekend look. 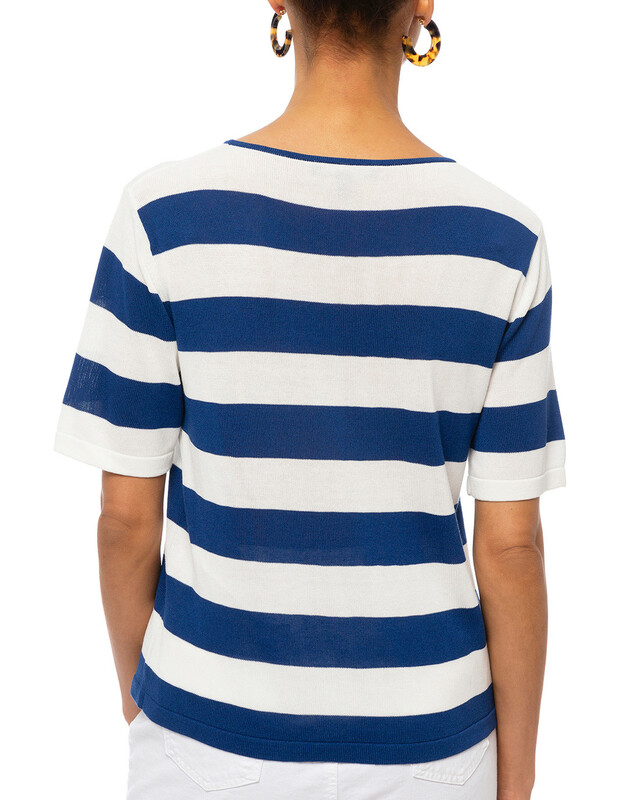 Shoulder Width 15" 15.5" 16" 16.5"
Sleeve Length 9.5" 10" 10.5" 11"